Azamara Club Cruises is proud to again partner with PerryGolf™ for another exceptional golf and sightseeing voyage this time to New Zealand and Sydney on board the outstanding Azamara Quest®. Your voyage begins in Auckland with 16 nights, 12 ports of call and 5-6 rounds ahead as you sail the North and South Islands before leaving New Zealand through astounding Milford Sound bound for Sydney. 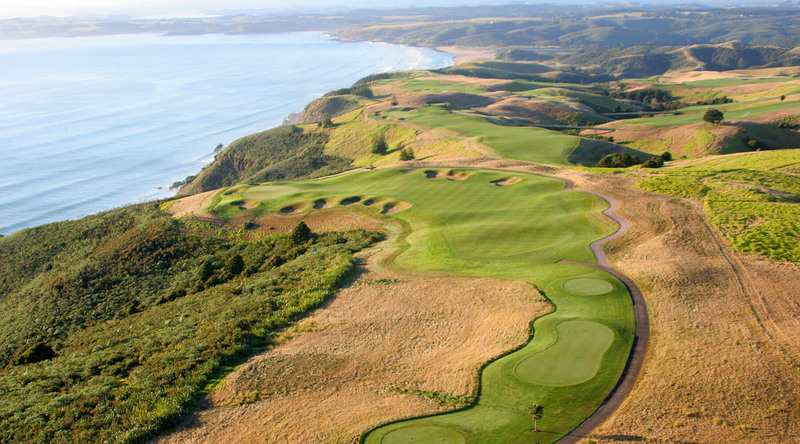 The golf is equally spectacular beginning with world #39 Kauri Cliffs and jaw dropping #40 Cape Kidnappers. Rounds at The Kinloch Club, Christchurch Golf Club, Chisholm Links and Jack’s Point (optional) complete the set. As always, PerryGolf’s cruise staff will be onboard and ashore to oversee all aspects of your golf experience from tee times and daily pairings to the handling of your golf clubs throughout the voyage. Green fees and starting times for five-six rounds of golf including shared use of electric golf cart.